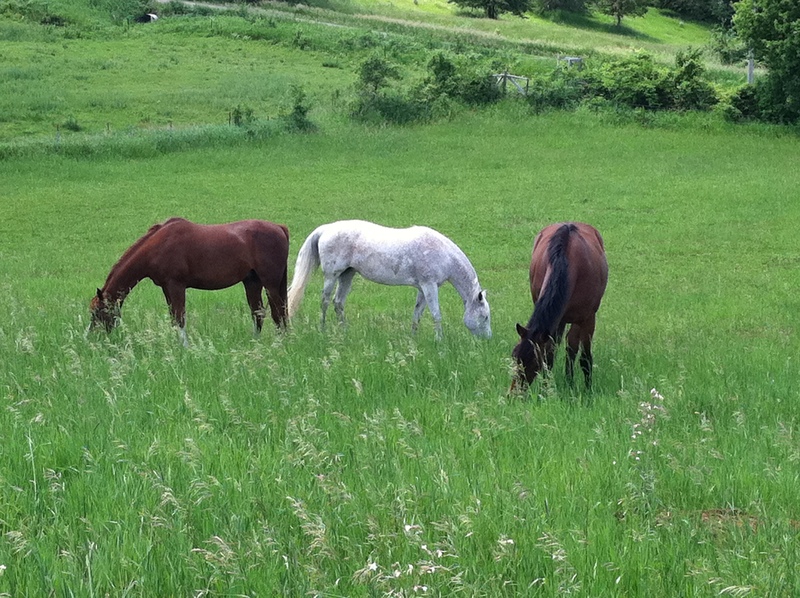 What We Have to Offer/ A Quick Summary | Smart Start Stable, Somerset Wisconsin, U.S.A.
– Home grown hay fed twice daily except when there’s plenty of grass in the pasture, then hay fed in the evening when horses come in. Home grown oats with Equishine as a ration balancer fed in the evening. Client supplied supplements fed at no additional charge. – Exceptional, consistent care for your horse; owner/manager lives on farm. Long term staff provide help with horse care and help with daily barn management. There are a few more details below. Check out other pages on the website for even more details. There are photos included in nearly every page to give you a better idea of what it’s like at Smart Start. Feel free to email or call for more info or for answers to your questions! We have stall board for your horse, sorry no pasture board. We like to know the horses are safely tucked into their stalls at night, no worry of coyotes, storms, or whatever happens spooking them through a fence. We like to sleep knowing whatever trouble a horse can find in the dark out in the pasture is a non issue. The barns and arena are heated, all horses are turned out daily to pastures into small groups. Dressage clinicians are brought in, sometimes only for Smart Start Stable clients, sometimes open to the public for riding, auditing always welcome. Check out the Guest Clinician page of the website to see what’s coming up. Suzette can set your horse up to be easy to do whatever you like with it whether it’s dressage, western, english, showing, trail riding, whatever you like to do with your horse. Horses and their riders should be partners. Suzette teach horses and their riders/handlers to communicate with each other in a happy way. It doesn’t matter to her if you want to trail ride or show, she loves working with people who just plain love being with and working with their horse. She works with dressage horses, trail horses, even a barrel racer! She can help you and your horse be better at whatever you want to do with your horse. Suzette’s favorite is dressage so if you want to learn more about riding dressage or want to show dressage, Smart Start Stable is the place to be! Check out the other pages on the website for more details. Thanks for checking us out.